We know how fast the pace of change can be in the backup space, and after previous surveys we've undertaken we were keen to start a benchmarking project which would allow us every 6 months to determine changes in the marketplace. Not only is this fascinating for our audience but also allows us to ensure we're keeping on top of all the latest trends and folding this straight back into our product set. So what did we want to find out? Well we know that cloud brings its advantages, but just how well received has it been in the marketplace? Many of you have serious privacy and security concerns about using this as a method of backup. Are survey respondents still utilising a belts and braces approach to backup? And how often are test restores being undertaken? 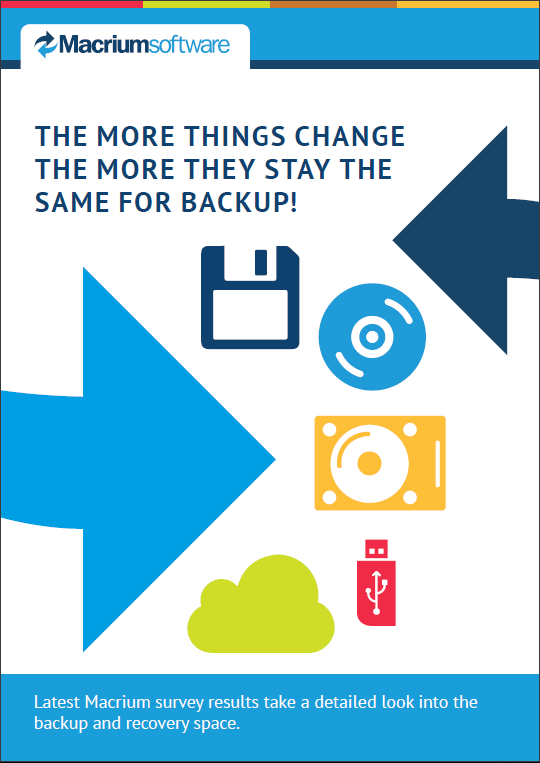 As previous surveys have determined, a large percentage of you are just not prepared to trust your important data to just one backup, and you have backups to your backup just in case! Some things don't change! We conclude the survey with some take away points and some suggestions to make your backup and recovery as effortless and pain free as possible!